Photo: VAL 202. CC BY-NC-SA 2.0 (cropped). Global TV news coverage of the buildup to the Winter Olympics in Sochi has been dominated by terrorism, footage of the Volgograd station and trolley-bus suicide bombs, breathless and often alarmist speculation as to the likelihood of attacks, the safety of athletes and spectators. These are legitimate concerns given that the Games are being held only a few hundred kilometers from the North Caucasus, a region still torn by nationalist and jihadist insurgency and terrorism. Then there’s the Islamists’ open determination to disrupt an event into which President Putin has placed so much political capital. 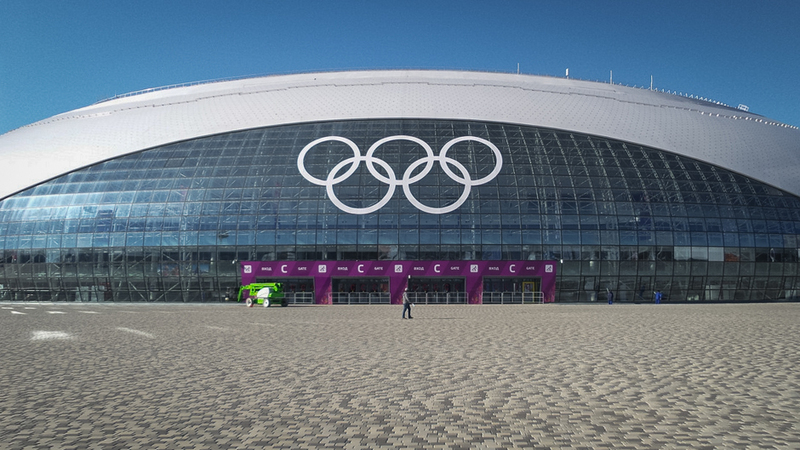 No public event can ever be wholly secured and Sochi is no exception. It is certainly possible that there could be some kind of attack, even if just to the outer perimeter of the much-vaunted “ring of steel” around the security zone. Nonetheless, the sheer scale of the Russian operation — 25,000 police, up to 20,000 regular military and Interior Ministry troops, drones, divers and the full panoply of modern security — means that the risk is as minimal as is reasonably possible. On the other hand, watch the news in Russia and the Winter Olympic narrative is a triumphalist tale of plucky athletes and their gilt dreams, sparkling facilities being opened and glitzy Sochi-themed adverts. Of course, the terrorist attacks were covered, but there is a determined resistance to letting them overshadow the event. Indeed, when Western concerns are noted, it is, if anything, with a not-unjustified irritation about the alarmist tone of many of the reports about what they would rather portray as “merry sporting events”. Both of these narratives, though, ignore a range of other security-related issues raised or demonstrated by the Games. First of all, it is a depressing irony that on one level the Kremlin might be blessing the terrorists for taking the spotlight away from the issue of corruption. These ridiculously expensive Games — a record-breaking $51 billion and counting, more than all previous Winter Olympics combined — have been characterized by boondoggles and stratospheric overspends. Opposition politician Boris Nemtsov’s claims that more than half the total expenditure was embezzled could be written off as a partisan smear, but then International Olympic Committee member Gian-Franco Kasper put the figure at around a third. This lesson in memetic warfare — one carried out not primarily by guns and bombs but rather through fears and ideas — is likely to be remembered. Russia will host the World Cup in 2018, with matches in eleven cities, including Volgograd. But beyond that, there is a steady stream of international events, as well as a clear desire to boost tourism throughout Russia in general and in the south in particular. Attacks which imperil Westerners might seem politically counter-productive, but might not seem so much of a gamble for insurgents who have long since abandoned any hopes of their cause being championed by Europe or Washington, and who may be hoping for practical support from Islamist powers and forces. Their chances of carrying out such out-of-theater attacks will in the short term only be improved by the very scale of the Sochi security operation. While the troops deployed are largely from units already in the area, simply being stood up for this particular mission, the extra police in particular have to come from somewhere. There are officers from as far afield as St. Petersburg, but in the main it appears that they are being drawn from other southern Russian cities. The very ones, in other words, the insurgents are most able to reach and hit. There is also a less visible transfer of resources in that although massive federal subventions have been provided to meet the $2-3 billion cost of the security effort, some has come from existing police budgets. To put it bluntly, every security camera and x-ray detector emplaced in Sochi is one not going elsewhere. That said, the Kremlin’s massive security project is not just a reflection of Putin’s determination that the event whose safety he personally guaranteed should go well. Sochi is also a test-bed for trying out new procedures and, above all, technologies that may ultimately be rolled out more broadly. The increased use of drones, for example, is something that police commands across the country are likely to adopt after seeing how they do during the Games. Most significant, though, is the range of enhanced cellphone and email interception capabilities the Federal Security Service is employing at Sochi. It is, to be honest, unclear just how useful they will be in foiling terrorists at the Games — but if they work there, they will most certainly be more effective in monitoring and controlling political opposition groups in Moscow and beyond in the future. The Other Sochi Security Stories by Mark Galeotti is licensed under a Creative Commons Attribution-NonCommercial-NoDerivatives 4.0 International License. Dr. Mark Galeotti is Professor of Global Affairs at New York University’s SCPS Center for Global Affairs and author of the In Moscow’s Shadows blog.